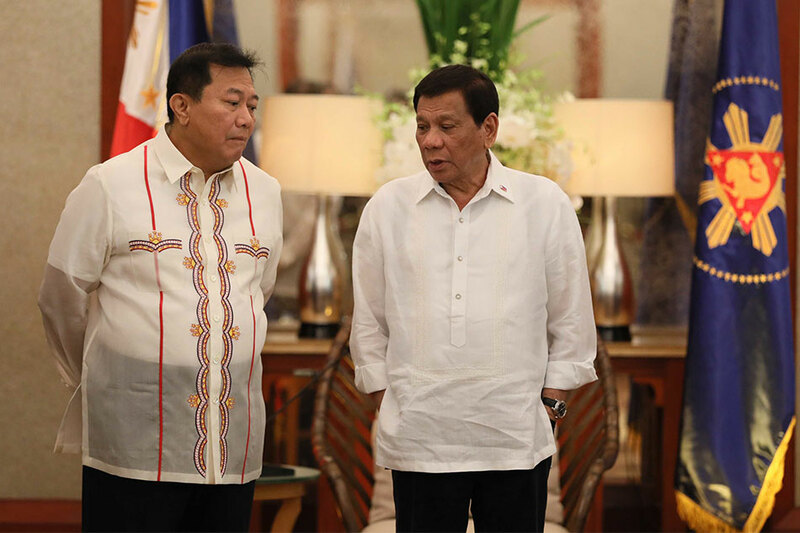 MANILA - House Speaker Pantaleon Alvarez on Thursday said President Rodrigo Duterte has until the end of his term in 2022 to solve the country's drug problem even while he had set a fresh 1-year deadline for his administration to deal with the scourge. Alvarez, among Duterte's closest allies, said the new deadline the President had announced should not be taken as a strict deadline. "In fact, he has until 2022 to do it, hindi lang basta bigyan lang siya ng isang taon. Hanggang 2022 naman 'yung kaniyang termino, hindi ba?" Alvarez said in a television interview. "Mabuti na iyan, nagbibigay siya ng deadline hindi ba, kaysa naman wala talaga siyang ginagawa. At least ito, kung halimbawa matapos niya in one year, eh 'di maraming salamat. 'Pag hindi, ay hanggang 2022 pa 'yung termino niya," he added. During his presidential campaign, Duterte had promised to solve the country's drug problem within the first 6 months of his term. He has since asked for an extension, saying he did not realize the extent of the problem until he assumed power. Alvarez also supported the President's move to bring the Philippine National Police back to the government's crackdown on illegal drugs. "Sa akin, as long as we solve the drug problem, walang problema," Alvarez said. Malacañang on Tuesday said Duterte had signed a memorandum allowing the police to participate anew in government's war against illegal drugs. The Philippine Drug Enforcement Agency (PDEA), however, remains the overall lead agency in the anti-narcotics campaign, as Duterte had ordered in October.